Sunday, June 24th, I will be hitting the road in my 22′ truck en route to the Texas Panhandle. Where is that, you ask? Well, I will be in a little town called Canyon which is about 12 miles south of Amarillo. I accepted a librarian position at West Texas A&M University. [hopefully] My new place will be about a 10-minute bike-ride from campus and the ‘downtown’ area of Canyon. After researching the location, I have discovered that there is a fine looking cafe reminiscent of the Chestnut Hill Cafe on my current block in Lancaster, PA (I envision spending quite a bit of time there). 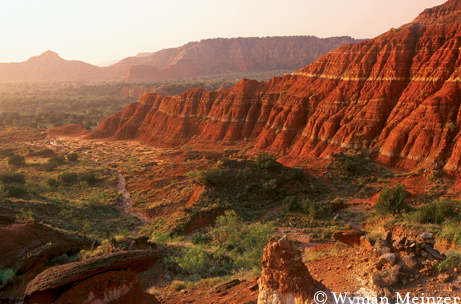 I plan on spending the rest of my free-time writing in the Palo Duro Canyon, or at least gaining inspiration from it. It is fabled that Georgia O’Keefe traveled there on many occasions to relax and envision the next painting – perhaps I will feel as lifted. In the mean-time, packing packing packing and doing more research about the beautiful terrain. Stay posted.